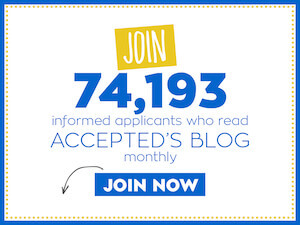 This interview is the latest in an Accepted blog series featuring interviews with medical school applicants and students, offering readers a behind-the-scenes look at top medical schools and the med school application process. And now, introducing Shantrice…. Shantrice: I have lived in Georgia all of my life! I graduated from Spelman College (Atlanta, GA) with a Bachelor of Arts degree in Psychology. Upon graduating I enrolled in coursework at Georgia State University in order to complete prerequisites for medical school. I also received a Master of Science degree in Preclinical Science from the Mercer University School of Medicine (Macon, GA). 1. I love the cooking and whenever the opportunity presents itself I will binge watch Food Network and Travel Channel shows. A few of my favorites are: “Diners, Drive-Ins and Dives,” “Food Network Star,” “Down Home with the Neelys,” and “Bizarre Foods”! 2. While in elementary school I was introduced to creative writing and discovered poetry. As of today I have a collection of over 75 unpublished poems. Writing poetry has served a wide range of purposes for me. Writing has operated as a stress reliever, and an opportunity to express my individuality and life experiences. 3. My experience navigating through college with a full time job was challenging — then add being a parent as well and it was a totally different dynamic! I tested out different strategies while in school — I even failed at a few things — but best of all, I learned so much about myself during the process. My experience as a college mother led me to established a non-profit organization, Conceive A Dream Foundation. The foundation’s primary target is women like myself, pursuing collegiate course work while parenting. The foundation seeks to help mothers successfully maneuver through college; connect them with mentors who can provide them with guidance; help them secure educational scholarships and financial assistance for childcare; and provide enriching opportunities for their children to participate in. These are just a few of the things I wish were available to me as a college mom, and I hope to use my personal journey as inspiration for others. Shantrice: I am currently a first year medical student at Morehouse School of Medicine in Atlanta, GA. Accepted: Why did you choose your school? How did you know it would be a good fit? Shantrice: My primary selection factors when deciding what school to attend were location, mission, and availability of resources (Counseling services and academic support). Originally I was scheduled to attend a school out of state, however, due to personal circumstances I withdrew my acceptance. Luckily, within the same time frame I was accepted into my first choice school, Morehouse School of Medicine. It was my first choice because their mission really aligns with my current views and future career goals. I attended undergrad within walking distance from my school and I grew up not too far from the area as well so my familiarity with the community and the surrounding city was very comforting. Living the majority of my life in underserved communities, I found it very refreshing that their mission emphasizes service to underserved urban and rural communities. As a non-traditional student it was also very important for me to look at what resources are available outside of the classroom. It has been a few years since I have experienced the rigor of graduate level course work and I was very happy with the options available for support in the areas of emotional/mental and academic aid. It also was a big plus that Morehouse SOM does an exceptional job preparing students to successfully pass USMLE Step 1 exam on their first attempt and match into residency slots. Shantrice: As cliché as it sounds, it has always been my dream to become a physician. In the early “green” stages of my journey towards medicine, it was my fascination with the tools physicians used and what seemed to be their magic healing powers that lead the five-year-old me to declare to my grandparents that I wanted to be a doctor. This was a desire that stuck with me through my grade school years. It was not until I was much older that I was able to really understand the gravity of being a physician and the impact that adequate/inadequate healthcare could have on a person’s life. Over a span of two decades I have witnessed the effects of cancer, diabetes, CAD (coronary artery disease), CHF (congestive heart failure), CKD (chronic kidney disease), COPD (chronic obstructive pulmonary disease), strokes, and countless more medical conditions. And many of these health challenges were faced by one person: my grandmother. To say that I was exposed at an early age to a combination of normal and abnormal medical conditions, that many students only first hear about from “Clinical Correlates” in medical school, would be an understatement. While seemingly undesirable, my family’s health conditions were some of my most significant and medically motivating experiences I have had. Due to my grandparents’ limited education, I was looked to as their “medical translator.” I learned to read and discern lab results, I researched medical conditions and I became their mini medical dictionary. I also learned about patient/doctor interactions. Not all of our experiences were as pleasant as my childhood fantasy of what I imagined a physician to be like! However, this only sparked a greater desire for me to become a physician and embody traits that I would want in a physician that cares for my family members. Since then, I have learned that pursuing medicine it is not an easy process. It is demanding, requires long hours, endless studying and the reward is not always as glamorous as the concept. However, as my life has progressed all of my experiences have converged to solidify my end goal. Accepted: What unexpected challenges did you face while going through the application process? How did you overcome those challenges? Shantrice: An unforeseen challenge I experienced during a previous cycle was not setting aside enough time to submit my application and additional material in a timely manner. I found myself meeting deadlines but literally submitting at the last minute. When I did not receive any interview invites at the end the application cycle I was not surprised. Having scores/grades that left me feeling very un-Rock Star like, I knew that I wanted to submit my applications as early as possible the following cycle. Last year I had quite a few things going on, from working to summer enrichment opportunities, having a child out of school for the summer and preparing to re-take the MCAT. With so many competing factors, I set deadlines for myself and created a firm application and study schedule. For days that I worked or had other activities, I had a specific time during breaks that I utilized for applications, I pre-wrote secondary essays when possible, and set aside enough time to have my essays proofread before submitting my application. This freed up so much time and provided me with sufficient time to submit my essays within days of receiving the secondary. Two challenges that I faced which I did expect, were applying with multiple MCAT scores and my uncompetitive undergraduate GPA. No one ever dreams of taking the MCAT more than once, let alone twice or any additional attempt after that. Yet, the reality is, it does happen and it happened to me. A lot of applicants hate to hear this but the only way to overcome an uncompetitive MCAT score is to take the test again but with a different mindset. I suffered from severe MCAT anxiety and a lack of confidence and both factors hindered my performance. I tried self-study, group-study, a test prep course — you name it, I tried. My biggest regret is having sat for the MCAT knowing I was not ready, merely because I wanted to meet a medical school application deadline. However, when I stopped putting so much pressure on myself, my whole outlook changed, my self-confidence was improved ten-fold and I saw the greatest improvement in my scores. In regards to my grades, I had exhausted many of the traditional backup options for students who complete college with an uncompetitive GPA, such as my participation in post baccalaureate classes and a Master of Science program. Despite doing well in my coursework and earning a M.S degree, my undergraduate GPA still showed inconsistency and academic vulnerability. Being rejected after finally securing medical school interviews in a previous cycle, left me feeling very defeated, like I could not overcome this roadblock. However, after self-reflection and dialogue with admissions personnel, I realized it was my delivery and not my package that ultimately cost me earlier entrance into medical school. I was so astounded that someone wanted to interview little old me, someone with my stats, that my lack of confidence hurt me. During my next round of interviews, I did a better job at expressing my strengths and weakness. I was able to give my interviewers more background information on why undergrad was such a roller coaster for me. I felt more comfortable speaking my truth. And, I was able to specify points of growth and a trend of upward academic improvement. When you are chosen to interview, the school has seen your grades, scores, read about your activities and so on. And they picked you despite any blemishes that may be on your applications. The interview is your opportunity to show them what is beyond the electronic application, showcase who you are and why you would be an asset to their school and a great physician in the future. I did have an improved MCAT score to add to my application, but my confidence and ability to convey my maturity and what I learned from my setbacks was my biggest improvement. Accepted: How do you balance motherhood and med school? Shantrice: Before entering medical school, I assumed I would be able to apply the same strategy I employed as a working mom as I transitioned back to being a student mom. Once my semester began earlier this summer I realized that our routine would be not sufficient. The rigor of medical school was a lot different from what I experienced during graduate school and undergrad. And having a child who was on summer break while I was preparing for exams, case studies and learning loads of new information was interesting! Now that the school has started back for my son, we are learning to balance his school assignments and activities with my studying, school assignments and exams. We try out different routines and make adjustments as needed. My son is at an age where he more or less understands that my school work is lot different from his, but he’s still at an age where he is still very dependent on me. It is important that during the week when we get home that we have dinner together, and complete homework and bedtime activities uninterrupted. On the weekend we have allotted time to go to a movie, go to the park or any other activity of his choosing. So far, this routine has provided me with an ideal level of satisfaction with my school-life balance. I am also grateful to have family near to spend time with him when I have to stay at school late or study for an upcoming exam. As he gets older his school work will increase in the level of difficulty and as I progress through my program, my studies will become more complex. Therefore, the main factor that helps us maintain balance is remaining flexible to change as we advance through life. Accepted: Lastly, do you have any tips for applicants who feel defeated from the med school application journey? • Have faith in yourself and do not allow the “process” to deter you from pursuing your passion. • Whether you are a traditional applicant currently in undergrad applying for the first time, a re-applicant applying for the umpteenth time, or a non-traditional student embarking on a new journey, remain true and congruent to yourself! • My personal journey toward medical school has been very unorthodox. I maintained a full time job throughout undergrad, I was a parent while in school, and experienced tons of other life factors that were not typical for a student seeking to enter into medical school. I constantly compared myself to other applicants and other students that graduated with me but were already years ahead of me into their medical careers. Once I realized there are several routes that take you to the same destination, I was able to find value in my unique path and life experiences. • Have confidence in yourself and confidence in your dreams. Sometimes when you experience so much adversity it can be hard to really believe in yourself and believe that achieving your goals is within your reach. You must overcome the fear that is holding you back. Once this happens you will be able to reach your full potential. Have patience because everything may not fall into place all at once. • Be strategic with the schools you apply to because every school is not looking for that “Diamond in the Rough” applicant, during initial screening they may not look beyond measurable criteria (GPA and test scores) or the school may just not be the best fit for you. The application process can be expensive and time consuming. Every school has a different approach to how they filter out applicant. So do your due diligence and thoroughly research schools and/or seek advice about every step of the process. • Lastly APPLY EARLY, only take the MCAT when you are absolutely ready (academically and mentally), and take advantage of medical enrichment opportunities. Sometimes the application process can be so daunting that your reasons for pursuing medicine become overshadowed. So visit open house events, attend pre-medical conferences, participate in summer enrichment programs, shadow physicians from a variety of specialties and volunteer in areas unrelated to medicine (that have a strong emphasis on service to underserved populations). Having a variety of truly meaningful experiences will not only enhance your application, it will give you a better idea if a career of lifelong service to others is truly for you. You can follow Shantrice’s journey by subscribing to her blog Chronicles of a Rising Doctor. Thank you Shantrice for sharing your experience and advice – we wish you much success!